The University of Mississippi has a rich history of providing MTM services within the Community-Based Research Program. Both national interim results and site-specific results from Project IMPACT Diabetes were shared with attendees. A breakout session followed which stimulated discussion with local pharmacists about services they are providing, services they would like to provide, and the challenges with implementing innovative pharmacy services. This presentation was well attended with nearly 80 people in the audience. 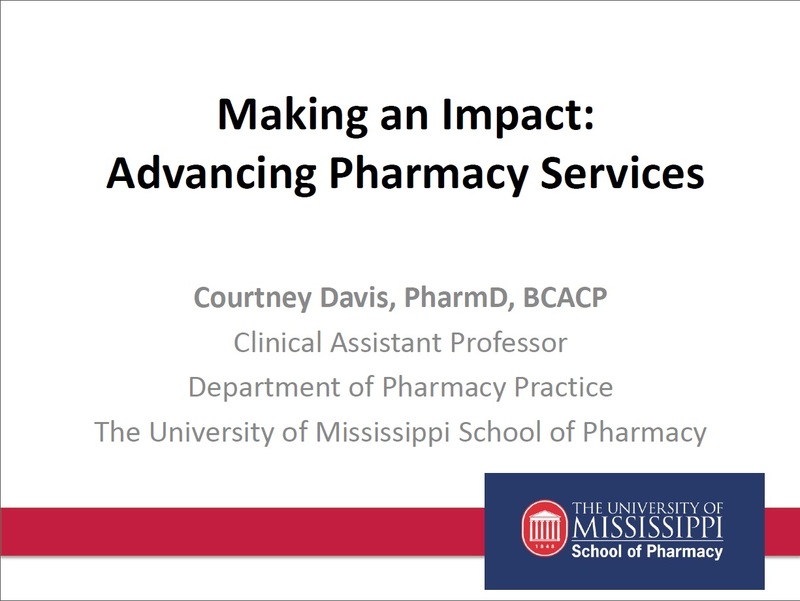 It was a great opportunity to share the goals of Project IMPACT: Diabetes with local Mississippi pharmacists as well as share how the pharmacist was integrated into the site to provide pharmacy services. The presentation may help attendees take away ideas that can be shared within their own community in order to advance pharmacy services provided.